Composed exclusively of Kampot Pepper inflorescences and ginger, EcoGreenFarms Vitality herbal tea is an ideal brew for re-energizing. Ginger has some natural stimulating and invigorating qualities and according to the tradition, even aphrodisiac effects. Composed exclusively of Kampot Pepper inflorescences and jasmine flowers, EcoGreenFarms Relaxation herbal tea is an ideal brew for relaxing. The jasmine flower relaxing effects will help to eliminate your daily stress. 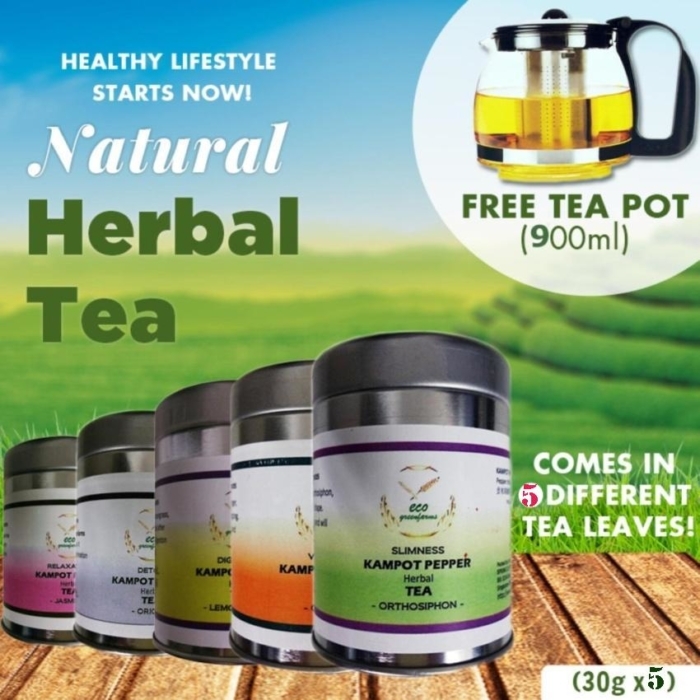 Composed exclusively of Kampot Pepper inflorescences and Lemongrass, EcoGreenFarms Digestion herbal tea is an ideal brew to feel good after meals. The combination of these two active ingredients eases digestion naturally and provides a real feeling of lightness and well-being. Composed exclusively of Kampot Pepper inflorescences, EcoGreenFarms Detox herbal tea is an ideal solution to fully purify your organism. 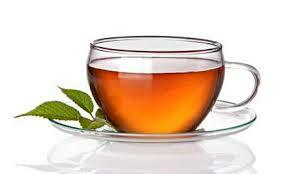 It contains a natural active ingredient which facilitates the toxins elimination from your body. 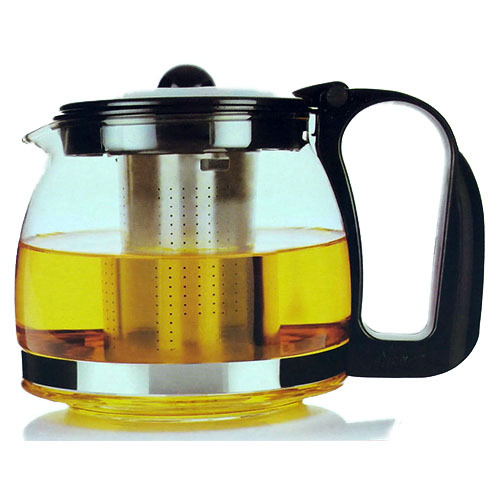 High Temperature Resistence Borosillicate Glass Body with Stainless Steel Filter, Polypropylene Handle & Cover.